Posted On March 06, 2015 by Team iCynosure. Children and Happiness are synonyms of each other in the world of motherhood. They bring so much happiness in the lives of every individual they touch that it is impossible to believe that such small people are capable of so-much. But have you ever thought what truly makes a baby happy? It doesn’t take the world to bring a smile on a child’s lips. What I know for sure is that my little one, my pretty princess #PrincessHeer goes insane on the silliest, simplest and normal things that I do for her or with her. As a mother I realize that I need to put the least efforts to add to my baby’s happy moments. The best way to share a few laughs with my princess is to lighten up and watch some cartoons with her. Be it Mickey Mouse trying to impress Minnie or Tom trying to pick a fight with Jerry, there is never a moment that even simply diminishes the smile on her face. Sometimes when my princess knows she’s done something wrong or is being naughty or is just up to some mischief, instead of blowing up I simply let go. She does know what has happened and the mischievous smile that spreads on her face is unimaginable. So sometimes it is better to let go than to blow up. As a parent my princess has always been an extension of myself, but after being once cautioned by her I ensure she gets the respect she deserves as a person. As we enter the restaurant, asking for a table for 3 instead of 2, sends honest giggles down her spine as a high chair is especially put in place for her. I ensure that I never let a single opportunity to appreciate pass, when princess has done something wonderful. I don’t set too high standards for the little one, instead whenever she does something I’ve asked her to do or taught her to do, or when she does something new herself I shower her with praises. Those moments are when her smiles are the accomplished smiles, content with herself. Every single day I play with my princess, we hug kiss and tickle. That’s our ‘me’ time together and we never miss it for any reason anywhere we are. We burst out laughing, screaming at times as the tickles become unbearable and even roll on the floor holding our stomachs. I try and do what is always best for my little princess. Be it her clothing that I ensure is weather friendly, to her creams and lotions that are right for skin type to her food that provides the right nourishment, I try to get her the best. 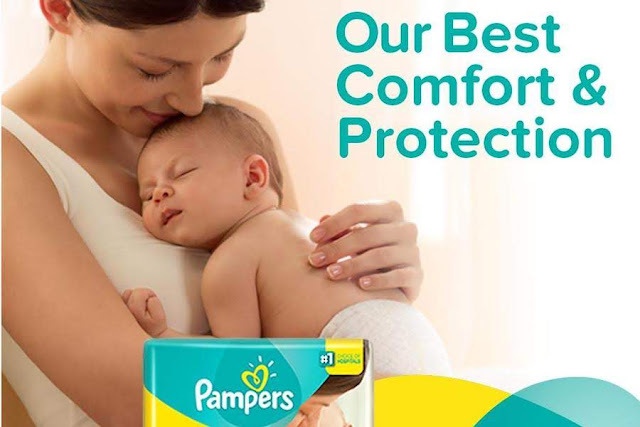 One of the things that I committed myself to was giving her a dry and clean nights and after loads of research I zeroed in on Pampers Baby Dry Pants and I have never had to look again. With all of these that take care of my little one’s health, she smiles even in her sleep.